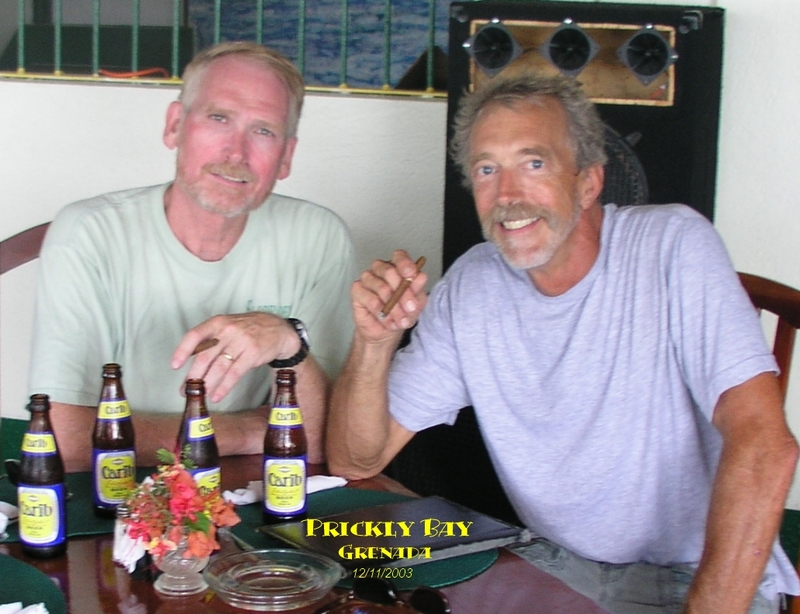 At the end of a 2200 mile Atlantic crossing the crew relaxes with a beer and a good cigar! Above: John and me at the local pub on the shore line of Prickly Bay. This was taken about 2 hours after we dropped anchor in Prickly Bay. There is more to come. 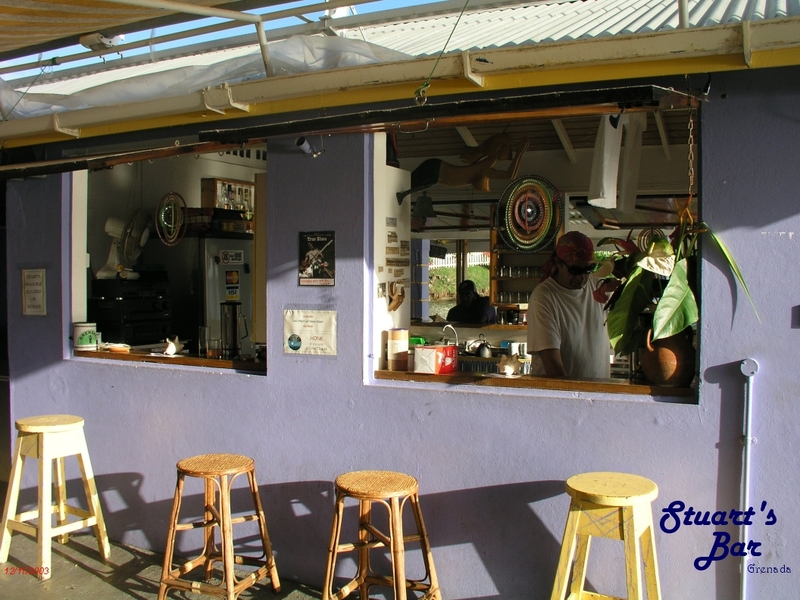 Come back later to see some more nice shots of Grenada, "the Spice Island." We spent two days exploring this beautiful island. 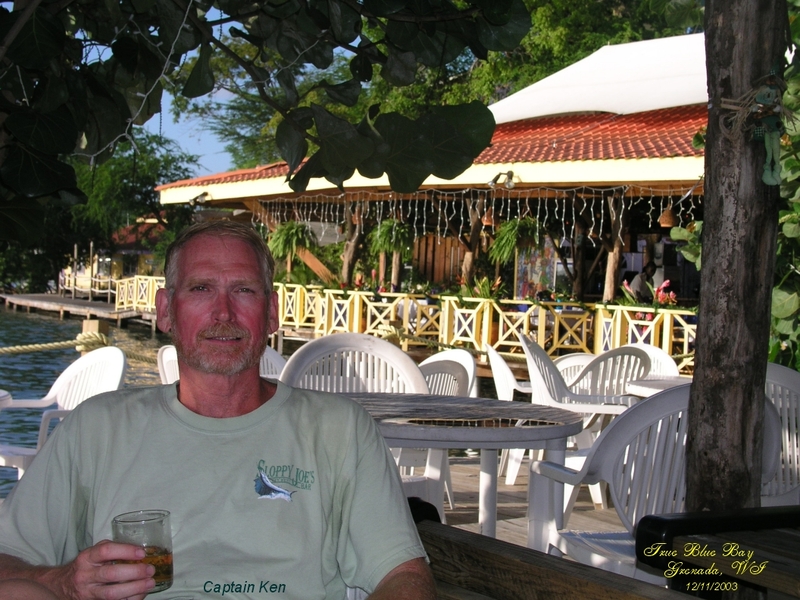 At the left is a shot of me at the True Blue Bay resort. One of the things I wanted to do after 17 days at sea, was to get a hotel room and sleep in a real bed. I also needed to get my stuff organized as it was spread all over Nirvana and we had to get the boat ship shape as well. To make a long story short, I got a room at the True Blue Bay Resort and loved every minute of it. As you can see, it was a nice place and sleeping more than 4 hours in air conditioning was a real treat. In fact, I slept about 12 hours the first night ashore. Bogie claims he does not like air conditioning - "To each his own," says I.
Stuart's Bar was a favorite watering hole at the True Blue Bay Resort.